I have a different take ... on the graphic at right. 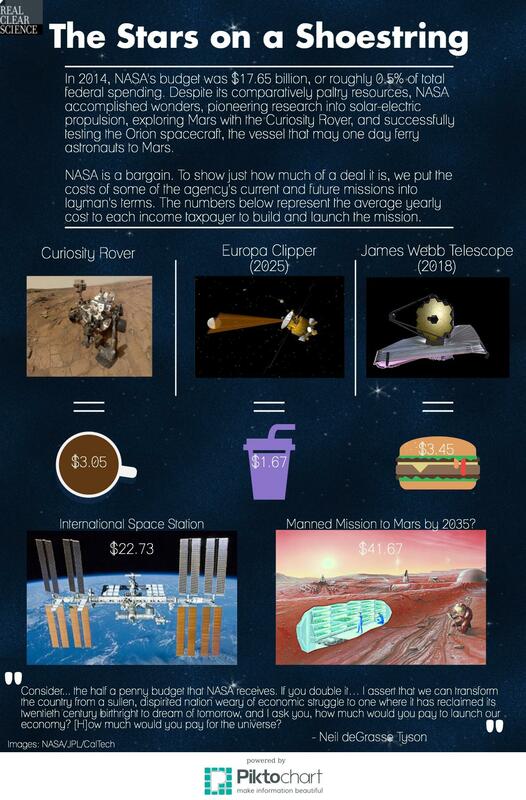 Its creators intended to show how cheap NASA is, and they're looking to double its budget. Here's my take. Let's halve the NASA budget – but completely eliminate the manned space program (ISS and the alleged Mars mission). The result would be a vastly increased unmanned space program, with the rough equivalent of 10 James Webb telescope missions a year. The actual science done by NASA would explode, and the crazy expensive government-directed manned space program would be finished.